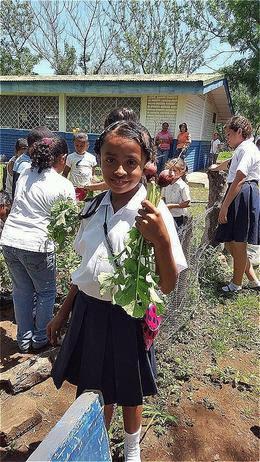 SosteNica empowers the people of Nicaragua to achieve healthy lives within vibrant, sustainable communities. 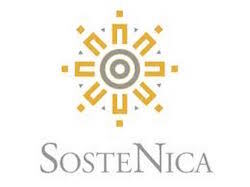 SosteNica accomplishes this mission through (i) micro-credit, (ii) delivery of education programs focused on sustainable agriculture, forestry, and ecosystem restoration, (iii) formation of markets for locally and sustainably produced goods, (iv) creation of sustainable housing solutions, and (v) incubation of small and medium enterprises. Below is a list of potential research projects that have been under consideration by SosteNica and the Research Center for Agricultural Sciences and Applied Economics (CICAEA). CICAEA is a research arm of Universidad Nacional Autónoma de Nicaragua-León (UNAN-León). These ideas are only starting points, and SosteNica is happy to work with researchers to design questions that align with their interests. Depending on the location and focus of the research, SosteNica can directly host and/or facilitate the necessary contacts to set up a TRI fellow in this region. Please contact SosteNica’s CEO and FES alumnus, Joe DeNicola, with further questions. 1. Diagnosis of the current state of agroforestry systems in western Nicaragua. 2. The effect of climate change on 5 leguminous tree species distributed across the micro-watershed 66 in Nicaragua. 3. Current status of secondary dry tropical forest in two areas of the basin 66 in Nicaragua. 4. Study of the quality of biomass incorporated by forest species at the perimeter of the basin 66. 5. Study of 5 tree species adaptable to riparian buffer zones to bodies of water in the ecological region #1. 6. Diagnostics of forest species present in the basin 66 in Nicaragua and their contribution in annual biomass. 7. Determination of the rate of decomposition of organic matter by microorganisms present in the basin 66. 8. Effects of the advance of the agricultural frontier (specifically sugar cane) on the Tamarind River. 9. Selection of optimal methods of forestation in unfavorable weather conditions. 10. Effects of deforestation on wildlife in the riparian zones of the micro-watershed 66 in Nicaragua. 11. Identification of the most vulnerable points throughout the micro-watershed 66. 13. Estimating biomass production of the 5 dominant tree species in the Tamarind River basin. 14. Determining what forest species are best suited for wildlife regeneration in tropical dry forest.